If your business is in the North Welland BIA catchment area and is missing from our directory or requires an update, please click here to submit an update. At the heart of that growth is the fact that, while so much of our world has changed, the simple things that made A&W so popular in its early days are the same today. We still serve A&W Root Beer® in frosted mugs. Our onion rings are made fresh from whole onions every day. And our Burger Family burgers are still made with fresh, quality ingredients. Auto Parts Centres (APC) opened its first branch in London in 1981, since then over thirty branches have been added to the network, which now stretches across South and Central Ontario. Constant supply and support of the stores is carried out from our two distribution centres (Dorchester and Mississauga) covering over 165,000 square feet of floor space. Bullett Proof Baseball Academy is the ONLY indoor baseball training facility in the Niagara area. Operating year round, under the guidance of former Major League Baseball player Scott Bullett, Bullett Proof Baseball Academy offers group lessons, private lessons, team clinics and private rentals to teams that wish to improve their baseball skills. Charlie's Chopsticks is where YOU eat the way YOU want. Customized Sushi and Rice Bowls made with fresh ingredients prepared daily. At Clarke Ventresca Foot & Orthotic Centres, we believe that the Chiropodist (foot specialist) and patient become a team for treating an individual’s feet. Our Chiropodists listen carefully to understand your concerns and respond with the best treatment options for you. Domino’s Pizza in Welland, Ontario offers both carryout and delivery options for your convenience. Located at the intersection of Niagara Street and Thorold Road, Domino’s is never far away! Stop by for a custom made carryout pizza to enjoy for lunch after visiting the Seaway Mall, or order pizza delivery to your home after spending the afternoon at the Pelham Hills Golf and Country Club. No matter what the occasion is, Domino’s can help provide you and your family with a delicious meal that everyone will love! There's an advantage in working with an Edward Jones advisor who knows you – and your financial goals. That's what makes Edward Jones different from other investment firms. Supporting the relationship between you and your Edward Jones advisor shapes nearly every aspect of our business. Eye Care Welland provides friendly and efficient service to the Niagara Region including Welland, Niagara, St. Catharines, Port Colborne, Fort Erie, Wainfleet, Dunnville, Pelham, Fonthill, and Thorold. Hart opened in August 2016 at Seaway Mall beside Sport Chek and across from Northern Reflections. The new stores offers regional shoppers a new, refreshing approach to retail merchandising with a strong focus on family fashions and footwear at affordable prices. It also highlights a full range of merchandise in stylish home furnishings, housewares, home decor, electrical appliances, gift ware, bedding including mattress as well as bath items and toys, plus seasonal, leisure and lifestyle products. At Imbibitive Technologies we are passionate about beads. This may seem odd, but our team sees and strongly believes in the environmental benefits of our proprietary product, IMBIBER BEADS®. Kinetic Synergy is a private training studio that gives 24/7 access to all our members. Our facility is clean, friendly and non-intimidating. Our mission is to provide the highest quality service the fitness industry has to offer by providing all the education, motivation, and support necessary to help our members achieve success and maintain it for life. Originally established as Coins Unlimited in 1980 and has grown to be one of the largest family owned and operated jewellery stores in Canada. With a beautiful, new custom built location at 620 Niagara Street in Welland, Ontario, in February of 2014, Noyes Jewellers, has officially branched off and continues to offer a stunning collection of new and estate solitaire engagement rings in yellow and white gold, anniversary and wedding bands, and custom designs. Complemented with gorgeous selections of necklaces, pendants, bracelets, earrings in gold and sterling silver, and much more. 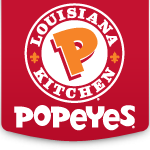 Popeyes has a passion for its Louisiana heritage and flavorful authentic food. Screen printing, also referred to as silk screening, is the process of transferring an image to a printed surface by ink, which is pressed through a stenciled screen and treated with a light sensitive emulsion. Film positives are put in contact with the screens and exposed to light, hardening the emulsion not protected by the film leaving a soft area on the screen for the ink to pass through, with the help of a squeegee. 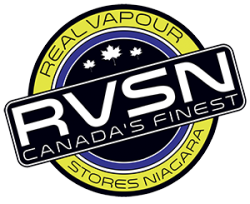 All of our premium e-juice is made in Canada with the purest ingredients for your vaping pleasure! Rose City Chrysler Dodge Jeep Ltd.
Rose City Chrysler is the only Chrysler/Fiat dealership in Welland and we serve the entire Niagara area, so I know how important your complete satisfaction is to our business. Our reputation in the community is of the utmost importance not only to me but to our entire staff on a personal level. At the Ryan Boese office we do things differently. We like to meet our customers face to face. We believe a handshake is a very powerful tool. Our goal is to inform our customers and meet with them regularly to build a lifelong plan that insures and protects what is valuable to them. Sandstrom Trade & Technology Inc. Since 1987 Sandstrom Trade & Technology Inc. has supplied quality stereotactic instruments for Neurosurgery, Neuroradiology and High Precision Radiation Therapy.